I have a Remington 870 12 gauge, 28 inch. I would like to get an additional barrel for the house. Smallest legal size without having to get a stamp. I've been researching and my head is spinning because I don't know the differences between all the barrels. So, what should I get? The gun was modified somewhat to fit me. It was originally a synthetic full size gun. Dan (notenoughguns) cut me a wood stock and forend which I finished myself and installed. For home defense I would recommend non-ribbed, non-rifled, with a fixed cylinder choke, at 18.5". The rib just adds unnecessary weight and unnecessary expense. There is no need for rifling, that is for shooting sabot slugs for hunting. There is also no need for a removable choke in a home defense gun, it only adds cost. The term "fixed cylinder choke" simply means there is no choke, it's just a straight-though barrel. Basically all you want is a short tube with a bead on the end, nothing more! I knew the barrel was a little over 18 inches. Something simple being its only for the house. I'm not interested in adding weight. Curiously enough with the shortened stock, the gun is a bit unbalanced because of the barrel size it is now. I'm guessing a shorter barrel will balance the gun better and be easier to handle in a dire situation. Something inexpensive being I'll probably lose it if I had to use it.......well at least till all the t's are crossed, and all the yellow tape is gone. Oh yeah and one thing I just noticed...it looks like you have the 870 express which has a matte finish. The barrel in the link has a polished blued finish, so it will not match your receiver or mag tube. 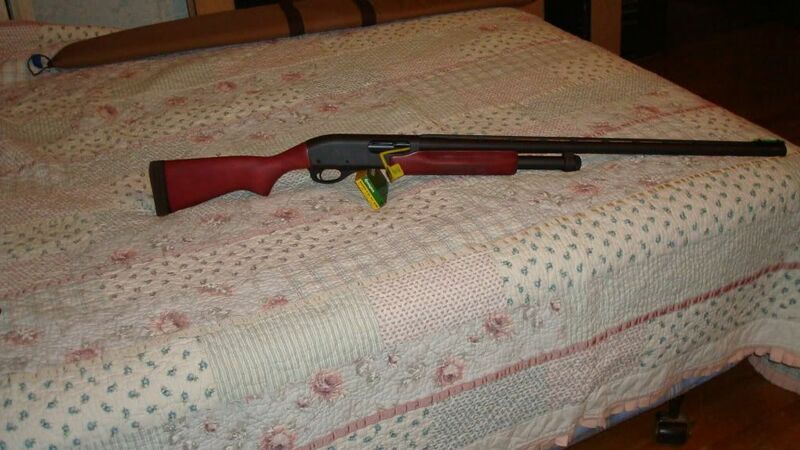 You might want to just go with a factory Remington barrel if you want it to match. It is a matte finish. Being that I'm down here in VA, I might just look around in the local shops. I have no issue with buying online (i have bought TONS of gun stuff online). Besides, I might find something else orphaned tied with a big red bow pawing at me though the glass. That may not be entirely true in all instances. I'm still waiting for the freaking ATF to answer me back about a 14.5" barrel on a pistol grip shotgun with an OAL of 26.5". It seems to be true but I wanted to check with ATF. (09-12-2012, 12:04 PM)Michele Wrote: It is a matte finish. Keep an eye out for the shorter barrels from police guns with bead sights. A lot of guys get the bead sight guns then swap out the barrel so they can run ghost rings sights. (09-12-2012, 12:28 PM)Warpt762x39 Wrote: That may not be entirely true in all instances. I'm still waiting for the freaking ATF to answer me back about a 14.5" barrel on a pistol grip shotgun with an OAL of 26.5". It seems to be true but I wanted to check with ATF. Even if the ATF allows it, it is still considered a prohibited offensive weapon in PA. 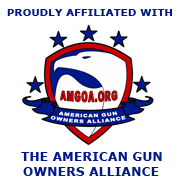 If it's NFA registered, you have an affirmative defense. If it's not registered, it's a crap shoot. Also FYI, that "loophole" in the NFA law that you are talking about will only apply for shotguns that came from the factory with a pistol grip.